Summary: Regardless of whether you aim to shed those excess pounds or get that new promotion this year, the key to your success starts with a good night’s sleep, researchers say. Whether your goal is to hit a new fitness milestone, eat right or earn a promotion this year, sleep is the first step to success. Making New Year’s resolutions is easy. Keeping them — beyond a couple of weeks, at least — is tough. One big factor that affects whether the commitment sticks: sleep. It’s a key component many people neglect when striving to make improvements in just about any part of their lives. 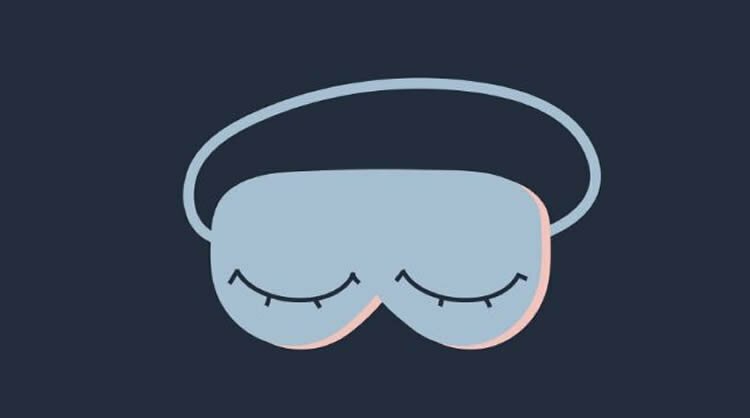 “We definitely take sleep as a luxury; it’s not,” says Cathy Goldstein, M.D., a sleep physician at Michigan Medicine and an assistant professor of neurology in the Sleep Disorders Centers at the University of Michigan. Whether intentional or a result of external factors, shortchanging on shut-eye influences a host of bodily functions crucial for good health. “I want to eat healthier”: The pitfalls of eating junk food are twofold when sleep is in short supply. Night owls are more likely to snack in the evening (either by raiding the pantry or hitting a drive-thru) and those who eat during the nighttime tend to weigh more. Whether you are a night owl or not, people who aren’t getting enough sleep also are apt to make poor meal choices during the day. Sleep restriction decreases one’s levels of leptin (the hormone that makes you feel full) and boosts ghrelin, which collectively increase appetite and alter food choices in a negative way. “It really changes the profile of what you eat to high carbohydrate, salty, sugary snacks,” Goldstein says. “I want to exercise more”: Who feels like hitting the gym when they’re exhausted? Beyond a lack of mental motivation, the physical payoffs of exercise are reduced when your sleep routine is out of whack. Researchers have found adequate sleep improves speed, strength and endurance in athletes. A 2013 Northwestern University study found the connection benefits everyone: “The less sleep you get, the shorter your exercise duration the next day is going to be,” says Goldstein. “I want to get a promotion”: Good employees are alert, motivated and cheerful. Those qualities, Goldstein says, “all are impaired by sleep loss.” They also spur what she dubs “cyber loafing” — that is, mindlessly scrolling social media or entertainment sites while on the clock. “I want to improve my relationship”: Working through any interpersonal issues can be a challenge on its own, but fatigue hinders the healing process. “A person’s mood is going to be worse when they don’t sleep,” Goldstein says. “I want to quit smoking”: Sleep deprivation is tied to higher rates of nicotine dependence, Goldstein says. Researchers aren’t exactly sure why, but she suspects much of it relates to nicotine’s “activating” properties to help users relax or concentrate, among other things. Whether your goal is to hit a new fitness milestone, eat right or earn a promotion this year, sleep is the first step to success. Dr. Cathy Goldstein of the University of Michigan explains. NeuroscienceNews.com image is credited to Michigan Medicine. What she and other experts do know: Low sleep reserves affect your ability to make good decisions. That includes whether to use harmful tobacco products, even if you’re aware of their detrimental effects. To reach your resolutions — and optimal health year-round — try these tips. Strive for seven to eight hours of nightly sleep — and not just on weekends. Try to go to bed at the same time each evening, even on weekends. Otherwise, “you’re basically putting your body through jet lag on Sunday night,” Goldstein says. Keep your bedroom as dark as possible. Install blackout blinds or curtains to block any light pollution that can suppress the production of melatonin, a hormone that helps control your sleep and wake cycles. Don’t use your smartphone or tablet while in bed. Set the phone to “do not disturb” mode to avoid sleep interruptions from late-night calls or texts. Image Source: NeuroscienceNews.com image is credited to Michigan Medicine. University of Michigan “Want to Keep Your New Year’s Resolution? Get More Sleep.” NeuroscienceNews. NeuroscienceNews, 21 January 2017. University of Michigan “Want to Keep Your New Year’s Resolution? Get More Sleep.” http://neurosciencenews.com/resolutions-sleep-psychology-5987/ (accessed January 21, 2017).